What is architectural form? What does architectural form mean? And why is it so significant today? Despite the historical signiﬁcance of form in architecture, the subject is frequently undervalued in debate. 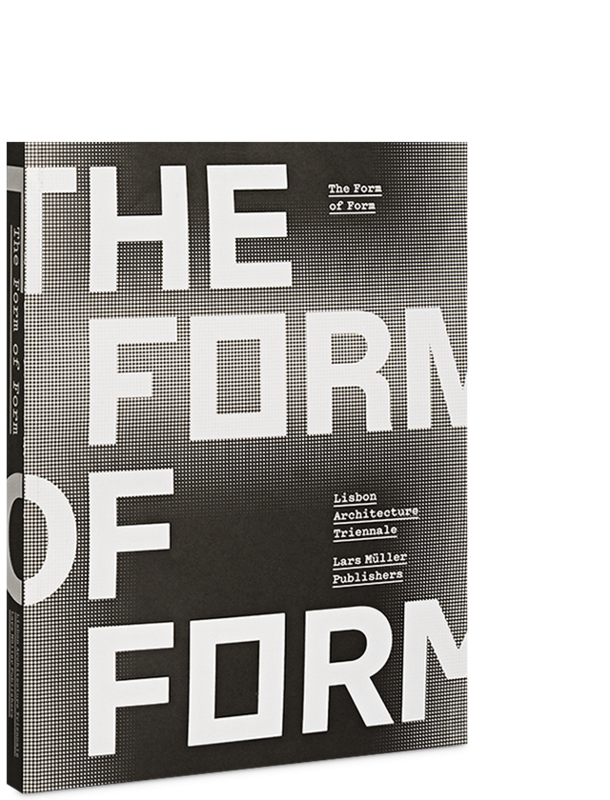 The publication The Form of Form examines a variety of ideas regarding form, not only through aesthetic and technological approaches, but also from social and political points of view. The Form of Form is the official publication of the same-named 4th Lisbon Architecture Triennale. The content of the book underlines the cultural and technical relevance of architecture within society. It aims to foster new thoughts as we reach the dawn of a rapidly changing society driven by fast access to information. After all the tensions and frictions that happen during the physical and social transformations of our cities and landscapes, when all the fuss is over and the different agents who contributed to change have left the field of play, what is left is a built form. Citizens live among forms; architectural forms have endured from the past and they will populate the future.